Back in 1997, one racing game caused an uproar in several countries around the world. Actually, it was even censored in the UK and Germany for a while, with zombies and robots replacing humans in those countries, while the game was banned in Brazil too. 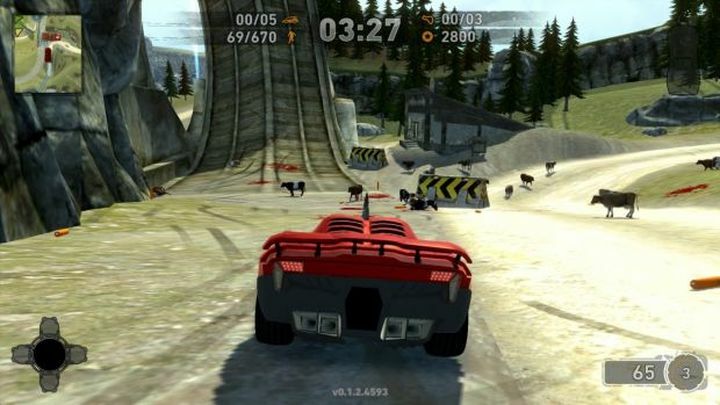 The game I’m referring to is Carmageddon, an unconventional racing game by British developer Stainless Steel Studios, where you could win each stage by either demolishing all your opponents’ cars, or running over the pedestrians roaming each level. Controversy aside, Carmageddon was jolly good fun. It also spanned several sequels, the latest of which being 2015’s Carmageddon: Reincarnation, which sadly was a mediocre game by most accounts. Those longing for another entry in the Carmageddon series are in luck though, as Austrian video game publisher THQ recently snapped up the Carmageddon game from developer Stainless Steel. THQ has not bought Stainless Steel itself though, which will carry on with other projects as reported on PC Gamer. This can only be good news to fans as Carmageddon is now in the hands of a major publisher, meaning another game in the series could hit shelves in the near future. Aside from Carmageddon, THQ Nordic also bought Koch Media earlier this year, bringing publisher Deep Silver into its fold, the people behind Saints Row, the Metro games and others. It also snapped up Alone in the Dark in September, meaning several video game franchises which had not been getting much attention to date could soon be in the limelight again. As for Carmageddon, it would be a great thing if the next entry in the series delivered more of the excellent gameplay these games are renowned for when it launches sometime in the future.